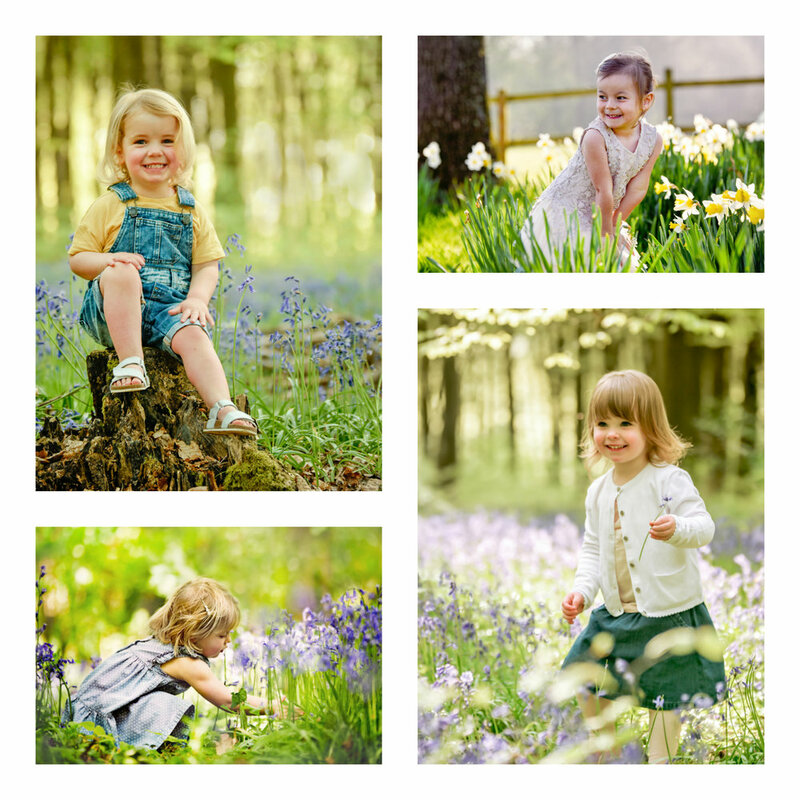 If you’re thinking of a family portrait session this year, bluebells really do make a stunning backdrop. I generally use Micheldever Woods for my sessions and if you’ve never been, you’re in for a special treat. They are carpeted with bluebells at this time of the year and on a sunny, spring morning with the soft light filtering through the fresh, beech canopy, the gentle swish of the branches and enchanting sound of bird song floating through the air it’s quite a magical experience picking your way through the woodland paths. Before the shoot we’ll meet in person. We can brainstorm ideas together and chat about styling. I love getting to know each of my clients and pride myself in capturing the most beautiful portraits you've ever had - ones that you'll always treasure. On the day of the shoot I encourage children to run around, explore and have fun....... keeping the whole experience as relaxed and spontaneous as possible. I'll run around with them - ready to capture those magical, unguarded moments. I’ll be in touch to arrange to meet you all. I like to learn as much as I can about your family and your children's personalities so that I can tailor how I interact with them on the day of the shoot. We will pick a convenient date during bluebell season (typically End of April /beginning of May) for the big day, brainstorm ideas together and chat about styling. After the shoot I will carefully select and edit the best images for you. About two weeks after your shoot, I will invite you to my studio and we can view your gallery together. If you are interested in displaying your beautiful family portraits as art in your home we will have time to pick out your favourites and see what works well together. If you have any questions, please feel free to contact me on anna@annafairsphotography.co.uk or browse through my Frequently Asked Questions at the bottom of this page.